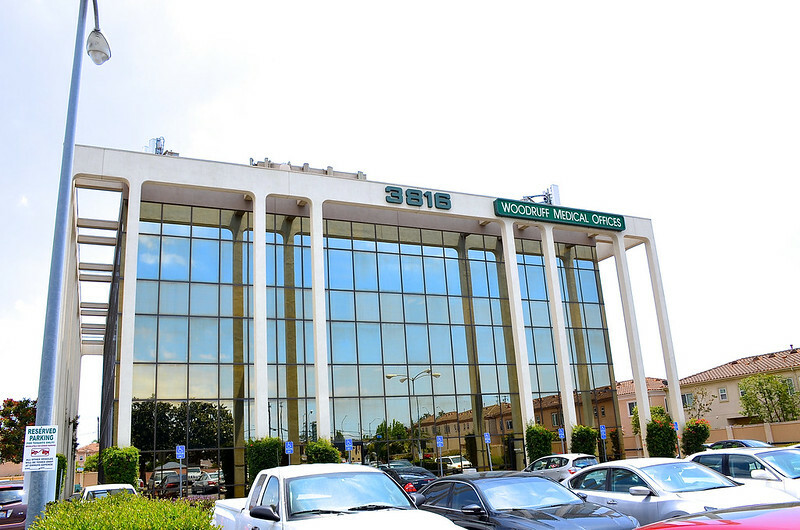 Many of Appu's clientele consist of the medical building's occupants and their employees while some are patients. Still others randomly wander into the cafe because of a visit to the building. A few, though, are curious foodies hoping to find a find. Like me. 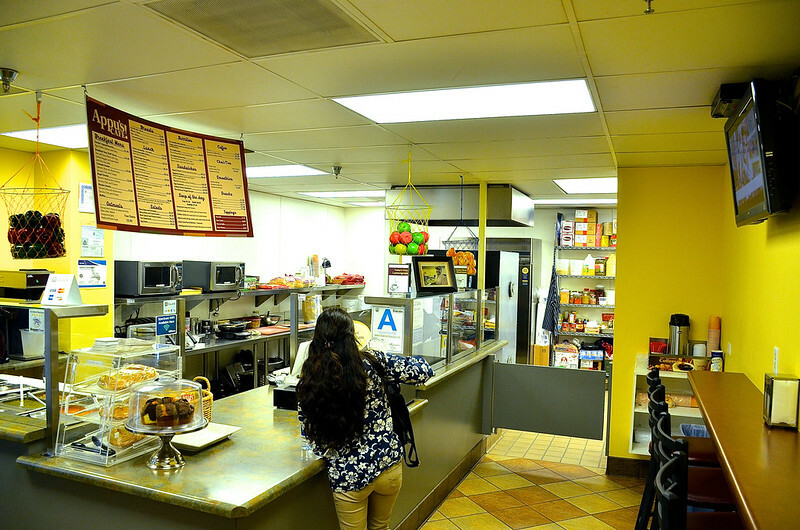 The potential food find here is an extremely popular item on Appu's Yelp listing called the Maharaja Burrito. But before you can get your grubby hands on this coveted bit of tortilla wrapped hospital food, you need to locate it. 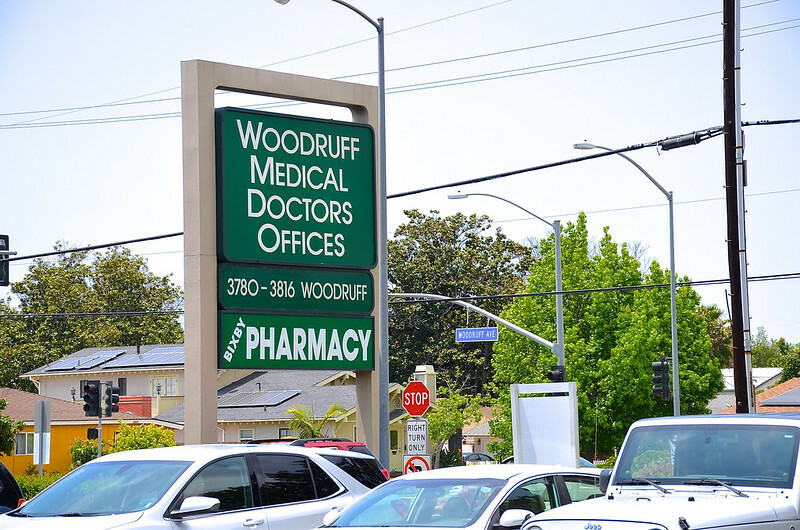 When searching, you likely will drive past a sign reading Woodruff Medical Doctors Offices two or more times before figuring out that Appu's Cafe is in the big glass building you've already cruised by several times. Don't drive past again. Find parking. There is plenty. Pro tip: park in the back of the building where Appu's is actually located. Head down the corridor, past the fertility place, the blood work joint, the lap band discounter, and you'll see a sign leading your way to the mighty Maharaja Burrito. You may begin to salivate as your imagination runs wild with anticipation, as I did. Hang in there. You've just about arrived. A few more steps and you'll enter the enlightened eating place where no animals were harmed making the great and wonderful Maharaja Burrito. Hopefully you can get there when I did to avoid the lunch rush. With only one customer in line, my wait was minimal. I could almost feel my gaping gob gripping his magnificence, the Maharaja of burritos. Patience, I reminded myself. This Mexican-Indian prince would be worth it. Scan the menu board and you'll discover the magical, mystical Maharaja Burrito in the final position within the burrito section. Last but not least, as they say. There it was. It really does exist. 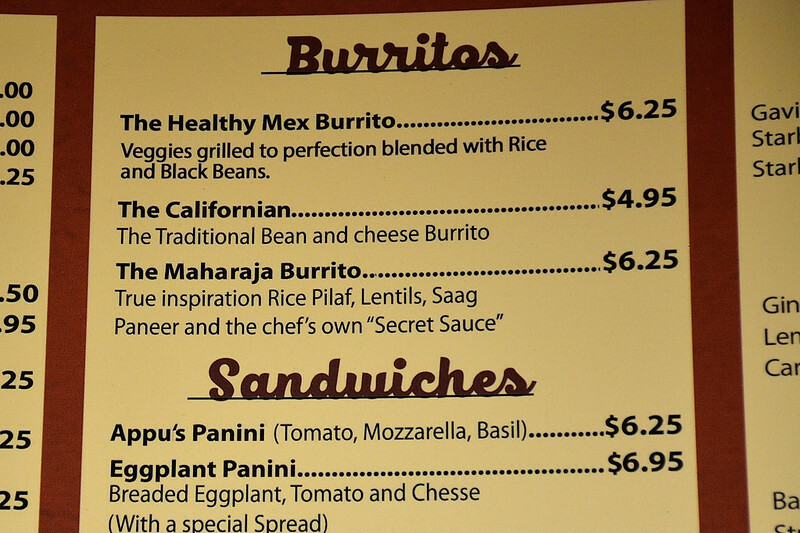 The Maharaja Burrito: rice pilaf, lentils, saag paneer, and the piece de resistance, the chef's own "Secret Sauce." Anytime secret sauce is in quotations on a menu, you know you're in for a Fyre Festival in your mouth, baby. And as long as we're discussing "secret sauce," everybody knows how much Yelpers love their "secret sauce." Know what I'm sayin'? 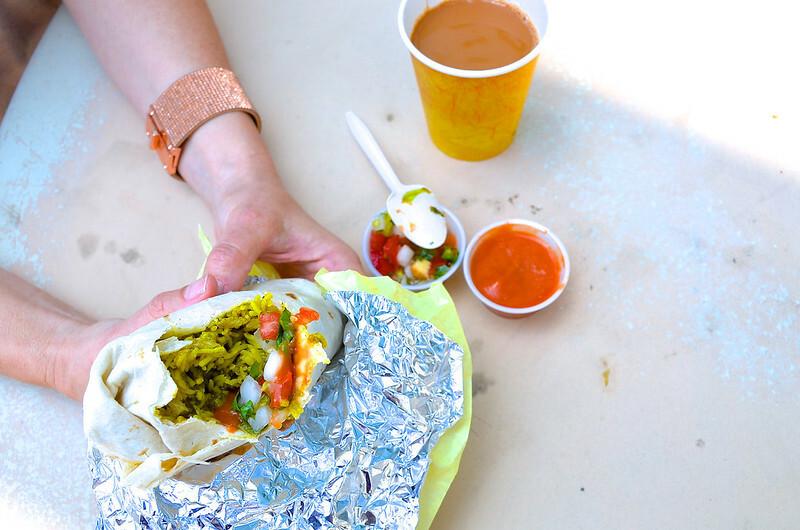 Without much variety in flavor or texture, the Maharaja Burrito seemed like an emperor has no taste situation—a Mexican-inspired dud. 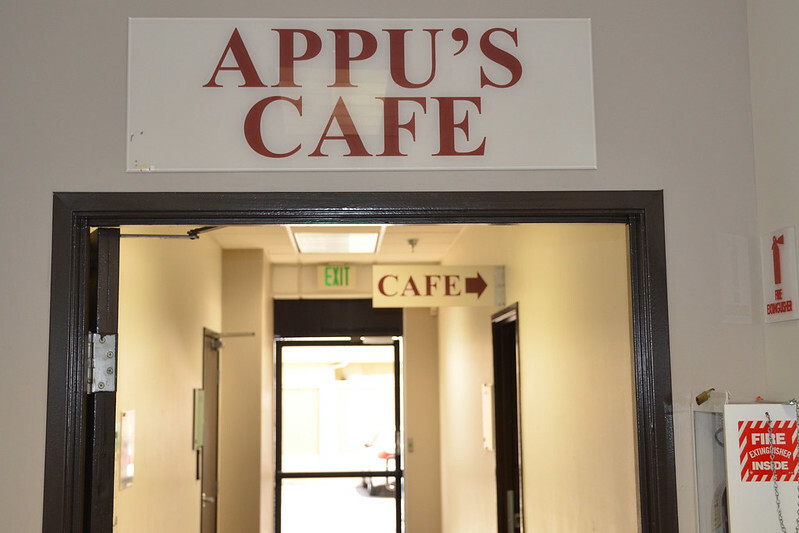 Appu’s Cafe is a regular on Yelp’s 100 Best Restaurants in America. Other than the novelty of sniffing out a veggie-centric Indian spot in a medical building, it really is baffling why people, especially notoriously vicious Yelpers, revere Appu's so much. Some of the ingredients in Appu's signature burrito were microwaved. The restaurant doesn't try to hide this fact. It's simply how the place operates. The lemongrass chai was a very good drink, though. As a food lover, I'm thrilled quirky little hidden eateries like this exist and thrive. 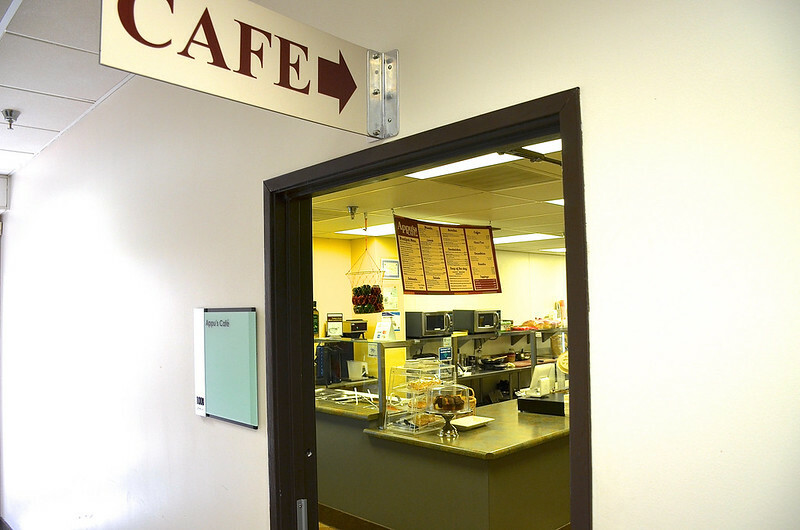 I just don't know what the big, five star hubbub is all about when it comes to Appu's Cafe. At least I tried it, but the Maharajah is more like a Mahara-naw.